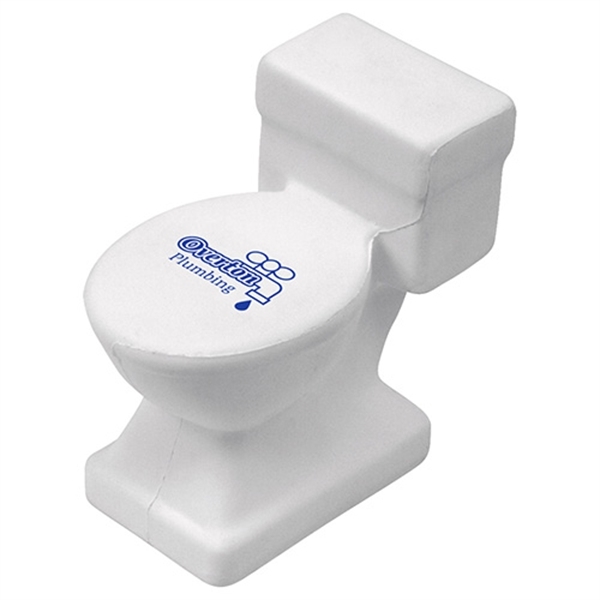 Flush away any doubts about this toilet shape stress reliever! Customize this fun favor with your company logo and information and hand out during promotional events, job site and more. This is an excellent choice for plumbers and cleaning services Safety tested and intended for adults or for general use by consumers of all ages. Not intended for children under three years old or for pets. Good clean fun!. White stress relievers may discolor over time. Care instructions are provided with your shipment. Size: 1.375 " x 2.5 " x 2.375 "
Ship Weight:20 lbs, Shipping is UPS, FedEx, or truck line by request. USPS is available for APO addresses only.